China, 19 August 2018 -- MIGU Adaptogen Bio-tech Co., Ltd adds two extract product made of Reishi spore and Coriolus versicolor mushroom. These high health beneficial products are easy to consume. MIGU Adaptogen Bio-tech Co., Ltd has added new products that use two mushrooms with powerful health benefits. These two mushrooms are Reishi spore (Ganoderma lucidum) and Coriolus versicolor. This China-based company that has a specialty in fungus extraction adds reishi spore oil and coriolus versicolor extract in their product collection. These products can be considered to be a good way to compete in today’s natural and safe treatment market. Moreover, those two mushrooms are also proved to be effective against many diseases and have the ability to promote health. The Reishi spore oil from MIGU provides many benefits for its user. Reishi spore itself has the ability to boost the immune system, anti-cancer, anti-aging, improve nerve function, protecting the liver, and enhance ###### function and many more. As an oil extract, MIGU has successfully provided the easiest way for anyone who wants to get all of those benefits. On the other hand, they also provide reishi spore powder product, an alternative for those who love to take it in a different way. Coriolus versicolor actually can be harvested from wild. However, with a specific way to plant it, the quality of the mushroom will increase exponentially. This is also what MIGU do, in order to create coriolus versicolor extract. With strict monitoring and better cultivation method, the organic plantation produces much better Coriolus versicolor. Then, it is used to create the extra product that has many benefits, such as supporting the cancer treatment as well as treat autoimmune disease. 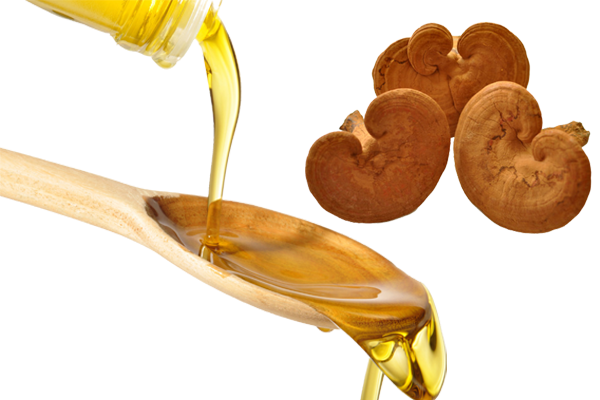 The extract of this mushroom also makes it easy to consume, by adding it to the drink or water. This is suitable for what people need today, where they don’t have too much time to spend to keep their body healthy. MIGU Adaptogen Bio-tech Co., Ltd is a China-based company that has many experiences and specialized in fungus extraction. Their product has acquired many important certifications, such as cGMP, ISO, HACCP, Kosher, Halal and Organic. These certifications make the product from MIGU can be consumed by anyone from anywhere. MIGU Adaptogen Bio-tech Co., Ltd is a China-based company that has many experiences and specialized in fungus extraction. Their product has acquired many important certifications, such as cGMP, ISO, HACCP, Kosher, Halal and Organic. MIGU Adaptogen Bio-tech Co., Ltd.